These are adorable! Perfect for Christmas!! These looks delicious! 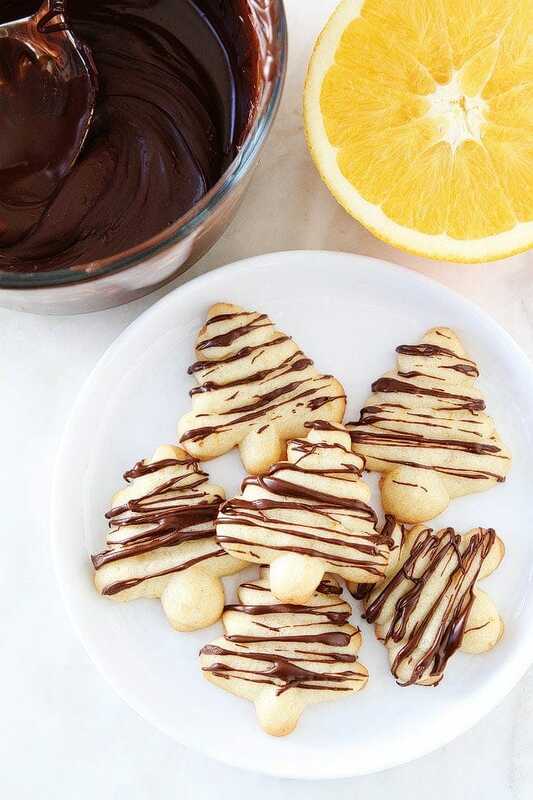 I think Santa will want a plate of these this year! These look so super cute!! I can go for some with my coffee right now! Those look so easy ad really good! 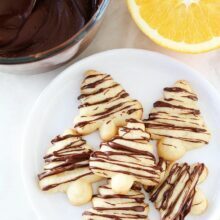 Funny, someone recently gave me a cookie press and I was remembering making spritz cookies with my mom (a LONG time ago!) and wondering about finding a recipe. 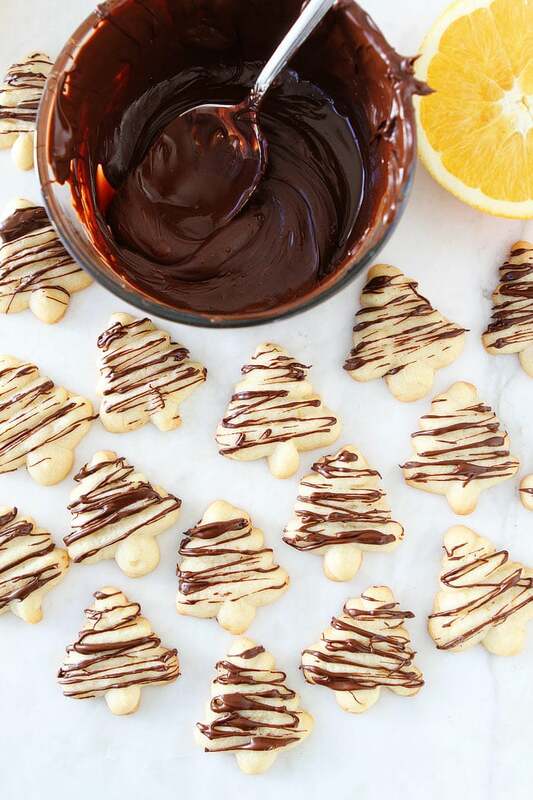 This looks perfect — l love orange and chocolate together! Yay! I hope you like the cookies! I don’t have a cookie press (and don’t really have room to store another gadget). 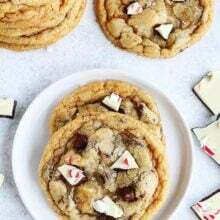 Can these be made by rolling out the dough and using cookie cutters? I haven’t tried rolling out the dough. Let me know if you try it! Yay! So glad you are liking our recipes. I love the orange in these!! 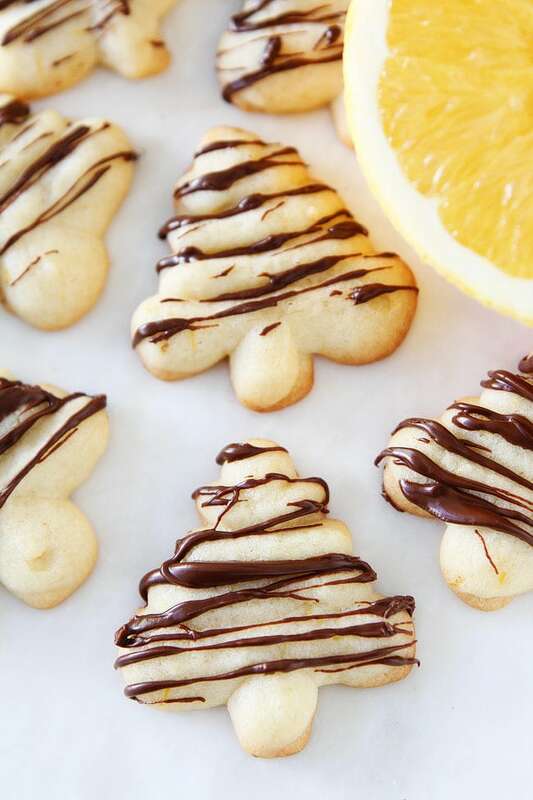 I love the chocolate on these cookies – it makes them look so festive! 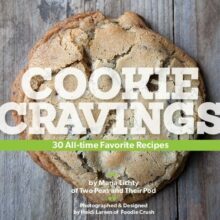 I make these lemon chocolate chip sugar cookies every year (http://www.bitesforfoodies.com/recipes/lemon-chocolate-chip-sugar-cookies/) but I think this year, I will switch it up a bit and drizzle the chocolate as opposed to adding the chips to the batter! Oh yum, I love chocolate and orange together. I can’t wait to try these as well. I have a brand new cookie press, just waiting to be used. Thanks for another great recipe. 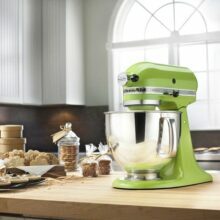 What kind of cookie press do you have? I’m in the market for a new one. I’ve only used electric ones, but can’t seem to one of those any more. Thanks! 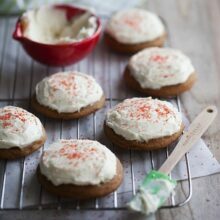 These cookies look and sound amazing! I’ll have to try them out this week! These are delicious and light cookies. 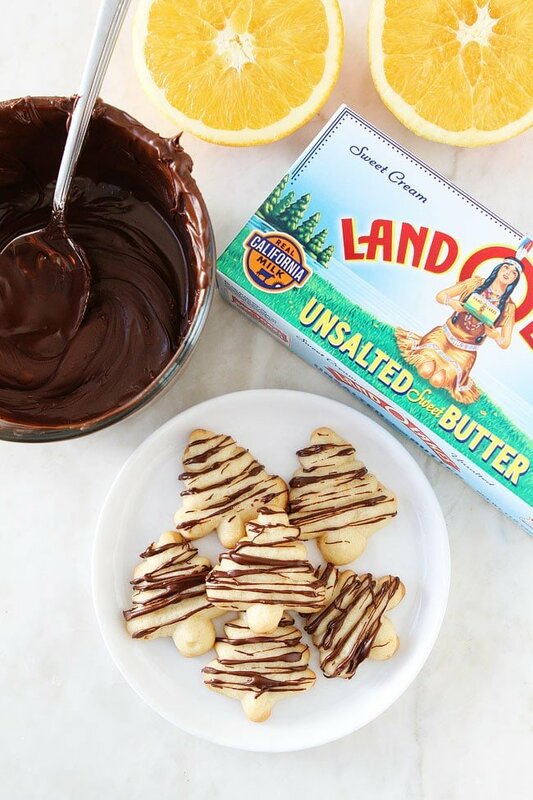 The combination of orange and chocolate is always a winner. I don’t have a cookie press so I just used my smallest cookie scoop to make small round cookies. They were a hit! 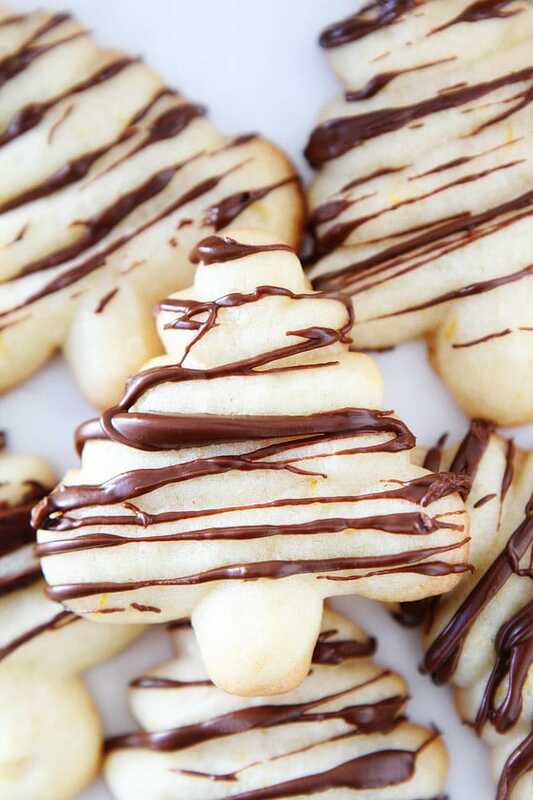 I have to send my cookies to my kiddos and I want to add these to my cookie collection. But what happens to the cookie after 5 days?